Nine Network. 1976-80 and 1983-84. Producers: Mike and Mal Leyland. LP(t) (ST) (See COMPILATIONS - AUSTRALIAN TV's GREATEST HITS: S2-Tk1 "Ask the Leyland Brothers". (Provist Bros.). Control.LP(t) (OP) Summit. SRA-295-071. 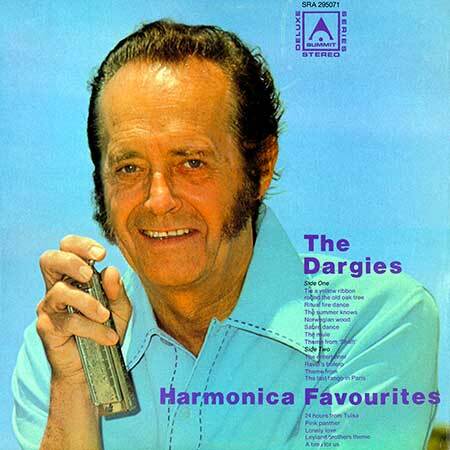 "HARMONICA FAVOURITES - THE DARGIES". S2-Tk6 "Lonely Love (Leyland Brothers Theme)". (2:48). (Horrie Dargie). (Essex). v: The Dargies.